The liver is the most versatile and metabolically complex organ. Hepatocytes are the cells that comprise most of the liver, and have the ability to remove toxins from the blood as well as synthesize some important proteins. The healthy liver has the ability to regenerate which allows for the maintenance of the detoxification and metabolism systems. Liver diseases such as hepatitis, cirrhosis and cancer can injure and kill hepatocytes. If the injury is not severe, the hepatocytes may regenerate and normal liver function can be restored. However, if the injury is greater than the regeneration capacity, the funcionality of the liver can be impaired. Loss of liver function leads to serious complications such as the disruption of metabolic stability, acid-base balance, and blood coagulation. This can quickly accelerate into multiple organ failure and death. Currently, the only effective treatment is liver transplantation. Other therapies do not enable hepatocyte regeneration and recovery. Due to the growing disparity between available organs and patients awaiting a liver transplantation, many efforts have been made to support or replace the failing liver using extracorporeal methods. Artificial support systems which rely on methods like hemodialysis and adsorption have been developed to detoxify the blood. Bioartificial liver systems using liver cells have also been designed and have been used in clinical settings. 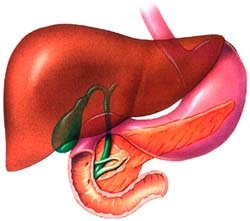 This website explores many of the major liver support devices currently being used.